Find everything you need to know about how, where and when to experience the Midwest's Largest Flea Market located in Shipshewana, Indiana. 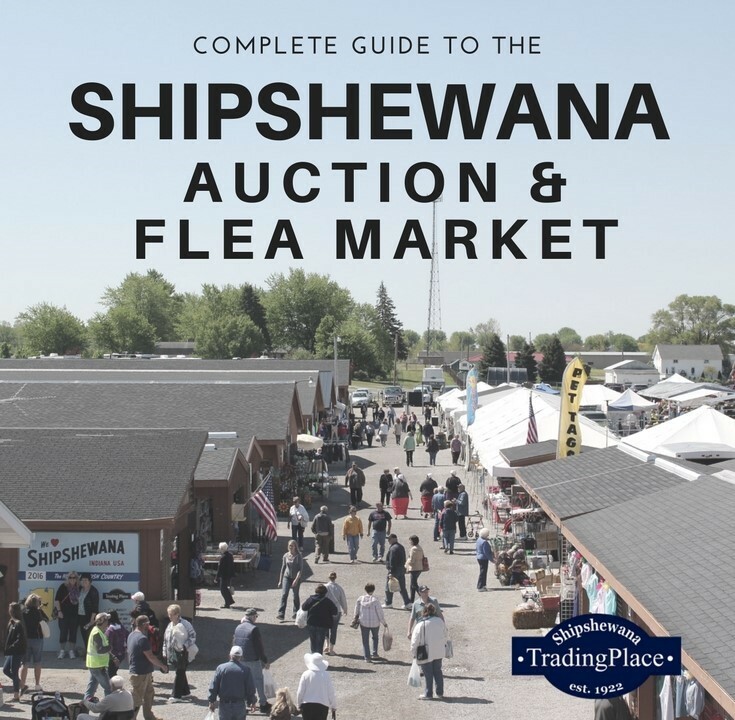 The Shipshewana Flea Market has nearly 900 spaces on 40 outdoor, open-air acres, making it the largest flea market in the Midwest. Vendors set up and sell everything imaginable such as home decor, clothing, jewelry, collectibles, tools, household items, crafts, signs, pet supplies, paper goods, furniture, plants, produce and more. The Shipshewana Flea Market is a seasonal summer market, open each Tuesday and Wednesday from May through September, 8:00 a.m. to 5:00 p.m. (ET). It is also open for extended holiday markets on Memorial Day, Independence Day and Labor Day. Parking is $3 per vehicle. Handicapped parking and RV / Trailer parking is available. There are several entrances and exits to the flea market. Please refer to the flea market map to plan your entrance and exit strategies. Also, it might be helpful to take a picture on your phone of where you parked so you can remember which lot you were in. During high traffic times, it is best to exit through the Southeast or North gate. Electric scooter rental is available for handicapped shoppers. The scooter rental booth is located closest to the SR 5 main entrance. There are four Flea Market Food Courts featuring Nelson's™ famous chicken, sandwiches, cold drinks, pie and ice cream located throughout the market. Each food court has a pavilion with picnic tables, restrooms and ATM machines. For traditional dining, the Auction Restaurant serves up delicious homestyle breakfast, lunch and dinner and is located at the main entrance to the Auction & Flea Market. Favorites include Chicken and Noodles, Broasted Chicken, Breakfast Haystacks, and Fresh Fruit Pie. Visit the information booth located at the main SR 5 entrance for local brochures and to sign up for hourly flea market door prize drawings. Download the free Shipshewana Trading Place Mobile app for a directory that is searchable from your mobile device. You can even save vendors for later by favoriting them. You'll also be able to see contact information and receive exclusive deals! Use the app on the property on the flea market's free wifi. 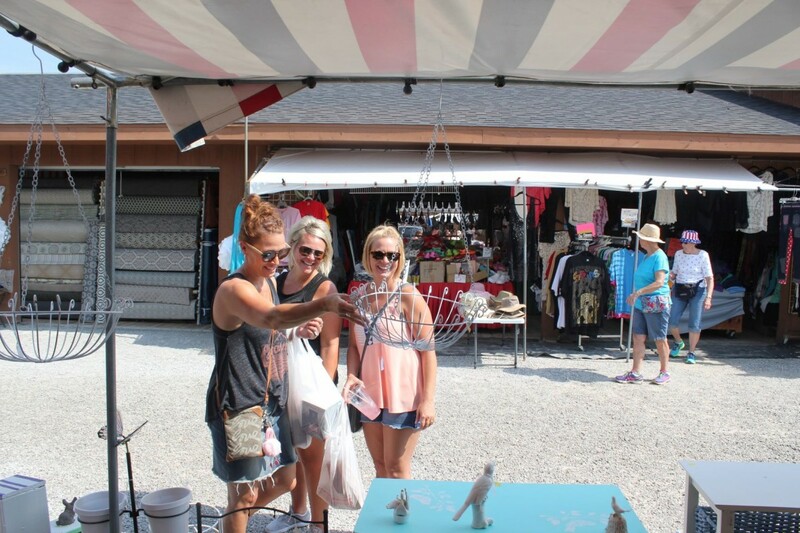 Read "How to Shop the Shipshewana Flea Market." Plan your route. It's smartest, especially on busier extended holiday markets, to plan out your shopping day and your entrance and exit strategies. If you're driving in from the South, it's a lot easier to enter the flea market "the back way" from Farver St (200 N). Also be sure to pick up a flea market vendor directory guide from the entrances. Inside is a map of booth spaces and a listing of permanent vendors and their products and space numbers. If you see something you like, write down the booth number so you don't forget. Wear Comfy Shoes. The 26 HUGE aisles are gravel, so it's important to wear your walking shoes! Arrive Early. Want to get the best parking spot? Get to the market early (right at 8:00 a.m. or even before.) It's also a bit cooler in the mornings, which is nice during the warmer summer months. Be prepared. The flea market is open rain or shine, so be sure you come prepared for anything! On hot sunny days, be sure to bring a water bottle and sunscreen. The market does have food courts and water carts located throughout the entire market. You'll also want to bring lots of cash...Although some vendors do accept credit and debit cards. There are also several ATM's on site in case you need them. Rest Frequently. There are several benches, covered rest areas, and food courts. Take a break and regroup to plan which booths you want to visit next. While you're resting, grab a delicious meal or snack...Or perhaps an ice cream cone? Also read, "The Worst Advice We've Heard About Visiting Shipshewana"
Are you interested in Antiques or Vintage Items? Are you a collector? Do you like repurposing old pieces of furniture? Do you buy to resell? If you answered, "yes" to any of these questions, then you need to go to the Shipshewana Antique & Miscellaneous Auction! 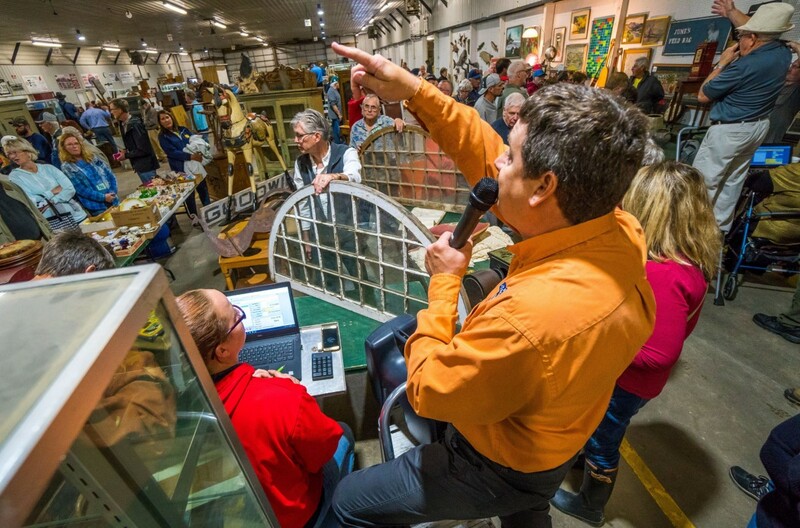 6 to 10 auctioneers simultaneously sell all kinds of unique items and antiques. Buyers move from ring to ring bidding on the best merchandise and getting the best deals. The Antique Auction is held every Wednesday, year-round at 9:00 a.m. A typical auction will last until the early afternoon. To bid at the antique auction, you'll need to register for a buyer number card in the auction office with a valid I.D. Buyer number cards are $5.00 and are good for one calendar year. Please show the clerk and auctioneer your buyer number card when bidding. After you are finished buying, visit the auction office to pay for your items. We accept cash, check, or credit card. A 5% buyer's premium will be added if you pay with a credit card. Read --> "How to Buy at an Auction for the First Time"
Call 260-768-4129 to reserve a space to sell at the auction. Find out more seller information. Stay within walking distance of the flea market, downtown Shipshewana shopping and restaurants at the Farmstead Inn & Conference Center. 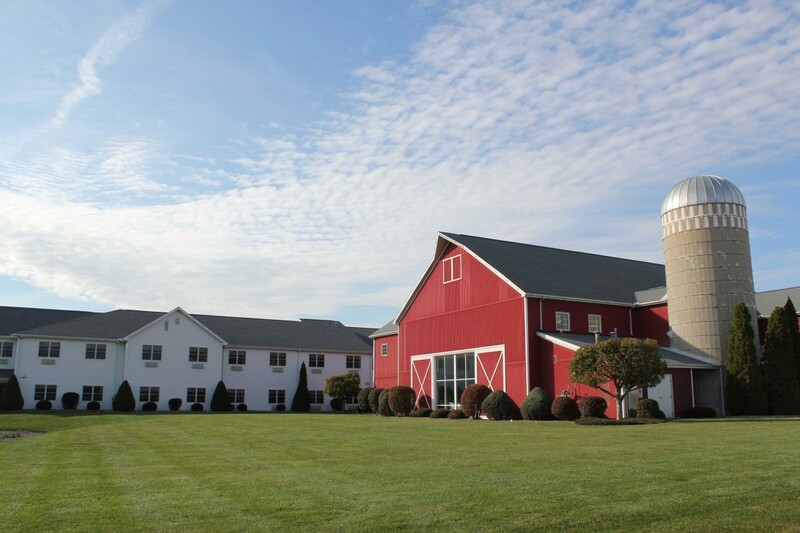 The Farmstead Inn is a beautiful hotel modeled after an Amish homestead featuring a three-story atrium with fireplaces, free hot breakfast, indoor pool and recreation center. Plus, guests who stay at the Farmstead Inn receive a free day parking pass to the auction & flea market! Check hotel room availability. We also have a campground located right on flea market grounds! Open April 15 - November 15, the Shipshewana RV Park has 165 Full-hookup sites and is big-rig accessible. Reserve a campsite. Want more advice on things to do and places to eat in Shipshewana? Read our travel blog! 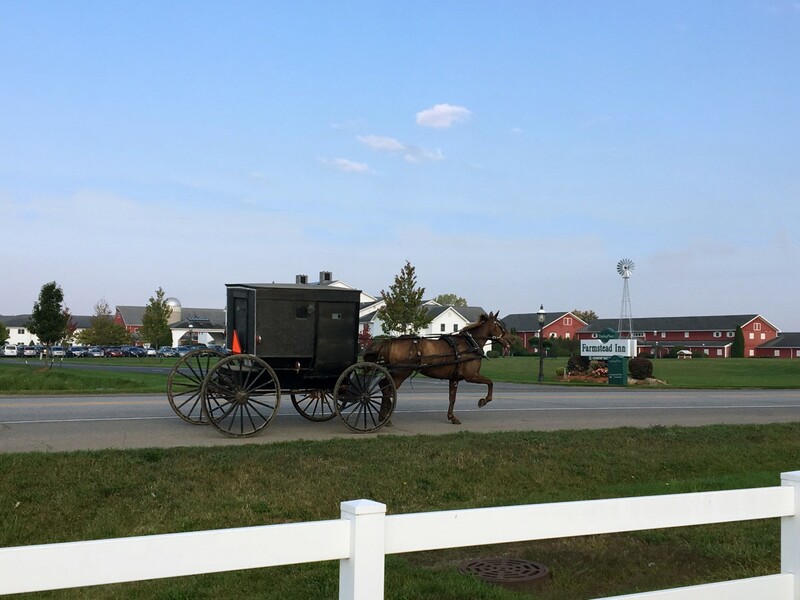 Shipshewana, Indiana, is the third largest Amish community in the United States. Most people visit the town for the flea market, to eat Amish-style foods, to shop more than 90 specialty shops, or for special events. Shipshewana is also known for it's amazing bike trail. The Indiana Toll Road (I-80/90) passes through the northern fringes of the county (LaGrange) and serves Howe and LaGrange with exits 107 and 121. US 20 connects Shipshewana and LaGrange to Elkhart and Angola. Indiana State Highways 3, 5, 9 and 120 also pass through the county. Get directions. Due to the heavy Amish/Mennonite influence on our community, most businesses in Shipshewana close on Sundays. Amish-owned businesses will also be closed on Ascension Day, Good Friday and Old Christmas (Epiphany). Many Amish-owned businesses operate on a "cash" basis and are unable to accept debit or credit cards. There are ATMs located throughout Shipshewana for your convenience. When driving the rural roads, watch for horse and buggy drivers, farm equipment, pedestrians and cyclists. When passing a bicycle or buggy, hug the center line and pass slowly. Use care as horses can be unpredictable sometimes.